The Salvation Army has identified 75 needy families and registered them for Thanksgiving baskets. McCallie School was made aware of this need and stepped up to assist the hungry and vulnerable, officials said. 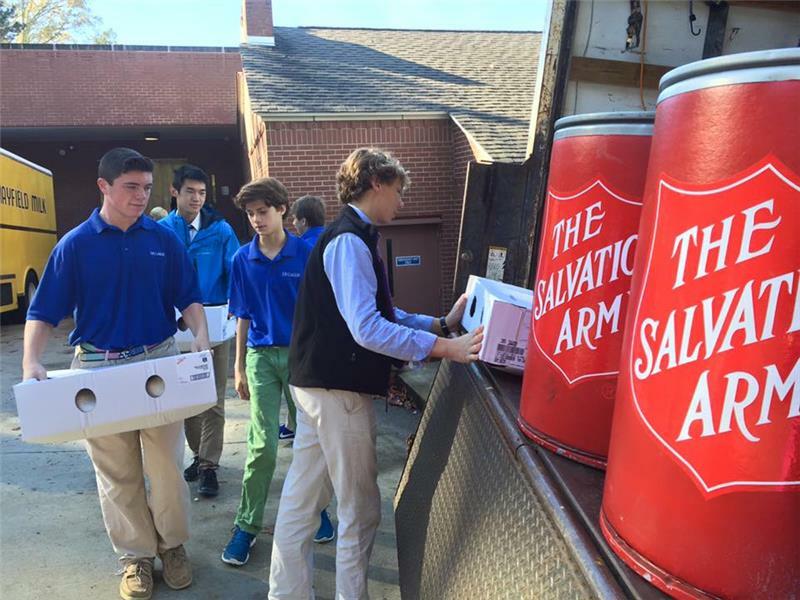 Both The McCallie Middle School and Upper Schools collected turkeys/hens, potatoes, yams, vegetables, dressing, and cranberry sauce for local families who might not otherwise have a complete Thanksgiving meal to cook at home. The Salvation Army truck will pick up all the food Thursday at 10:30 a.m.
at The McCallie School located at 500 Dodds Ave. in Chattanooga. The greater community is encouraged this holiday season to give their time just like these students. Volunteer opportunities can be found on www.csarmy.org. You can also call The Salvation Army at 423-756-1023. Monetary donations are also needed to assist with this year’s increase in Christmas needs, officials said. Donations can be made by visiting www.csarmy.org, by calling 1-800-Sal-Army or can be mailed to: The Salvation Army, 822 McCallie Ave., Chattanooga, Tn., 37403.